Verizon is moving forward with its deal to buy Yahoo, but at a lower price. The two companies have agreed to cut the acquisition price by $350 million following Yahoo's (YHOO) disclosures in recent months of two massive security breaches affecting more than one billion users. Verizon's (VZ) new price tag for buying Yahoo's core Internet assets is $4.48 billion, all in cash. The deal is expected to close in the second quarter of this year. "We have always believed this acquisition makes strategic sense," Marni Walden, Verizon's head of product, said in a statement announcing the revised deal Tuesday. "The amended terms of the agreement provide a fair and favorable outcome for shareholders." Verizon and Yahoo have also agreed to split the cost of any legal liabilities resulting from the security breaches. Yahoo has already been hit with multiple lawsuits from customers claiming the company was negligent. The U.S. Senate has also begun probing Yahoo over the breach. 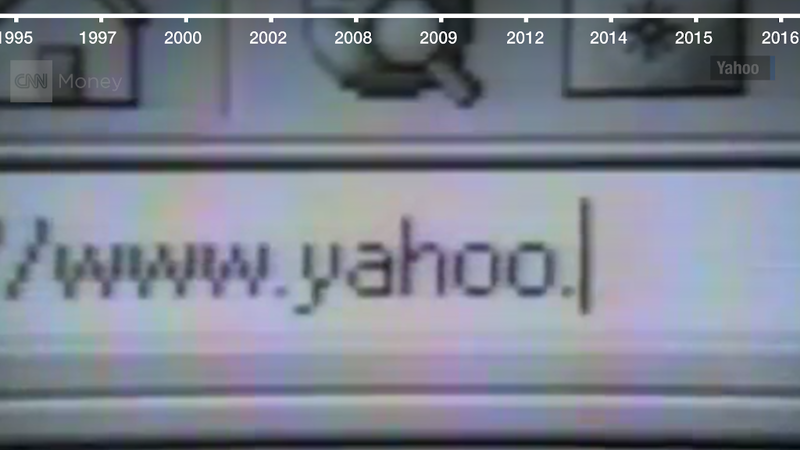 "We continue to be very excited to join forces with Verizon and AOL," Marissa Mayer, Yahoo's CEO, said in a statement. "It is an important step to unlock shareholder value for Yahoo, and we can now move forward with confidence and certainty." The agreement should be a welcome relief to Yahoo investors. There have been doubts about the deal for months due to concerns that the breaches would lead to costly lawsuits and lost users. Brian Wieser, an analyst who covers Yahoo for Pivotal Research Group, had assumed Verizon would seek a $1 billion price cut as a result of the breaches -- if the deal went through at all. "The worst case scenario is they outright canceled it," Wieser told CNNTech. "It's better for Verizon and Yahoo to put the standalone [Yahoo] business out of its misery and roll it into Verizon as soon as possible." Yahoo warned investors in November there was "no assurance" Verizon would actually go through with the deal. Last month, Yahoo told investors it expected the closing date to be delayed. Yahoo stock popped as much as 2% last week on reports of a revised deal. In early trading Tuesday, Yahoo was up 0.7%; Verizon was up about 0.5%. Verizon agreed to buy Yahoo's core Internet business in July. Verizon's goal was to use Yahoo's billion users to build an online advertising powerhouse to rival Google (GOOGL) and Facebook (FB). "I've got an obligation to make sure we protect our shareholders and our investors," Walden said at an event in October after the first breach was disclosed. "We need to have more information before we can determine [what happens to the deal]." Some of Verizon's competitors have taken jabs at it over the Yahoo drama. "Verizon, everybody knows, Yahoo is driving them nuts," T-Mobile CEO John Legere said on an earnings call this week. "They're damned if they do it, they're damned if they don't." Apparently Verizon has decided to be damned for doing it.